drivingandlife: BMW 530e - ANOTHER CHINA EXPRESS? This car is a beautifully designed and built answer, to a question nobody asked. At least I think it is, here in Australia. The 530e is a Plug-In Hybrid Electric Vehicle (PHEV), and adds to BMW’s prodigious range of models on sale here. The 530e drives well, is luxuriously quiet and refined, but for the life of me I cannot see why anyone interested in owning a BMW would buy it. 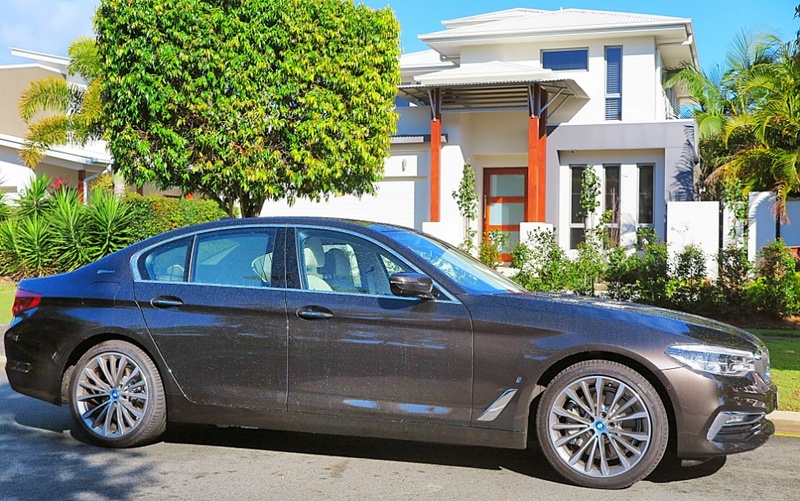 It hums away from the traffic lights just like a Toyota Camry Hybrid, and that would be fine, except you’ll pay AUD$109,000 for the privilege of owning a Munich-made sports sedan, with a big battery. That’s the same price that the petrol version sells for Down Under, which also tells me BMW AG is taking a bath on this car, with no profit finding its way into the BMW bank account. So, who would buy it? One look at the trim and equipment and you can see this is another car aimed at the Chinese market. 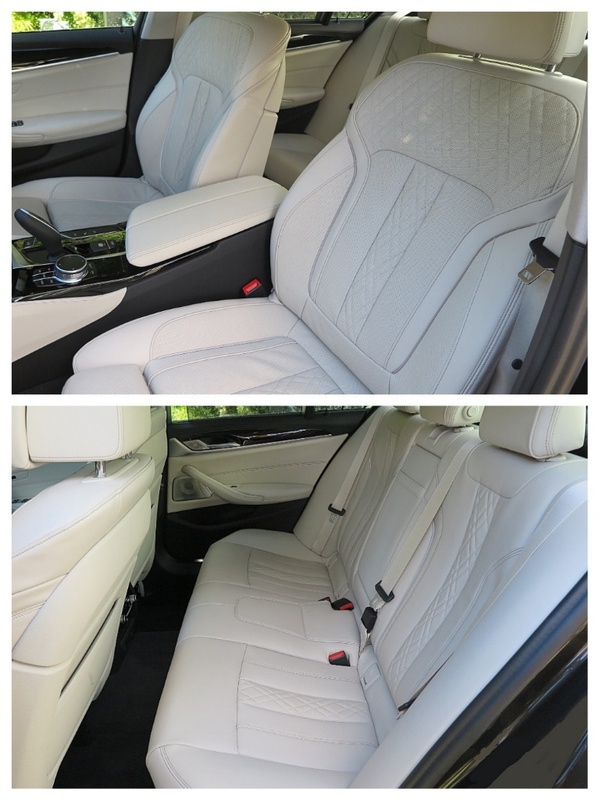 The quilting on the supple leather seats is a style favored by Chinese buyers; and at night the purple interior lighting, and illuminated speakers is not quite bordello standards, but it’s flashy and tacky at the same time. But, BTW, whatever BMW wants to charge for the optional Bowers and Wilkins speaker package, pay it! However, let’s take a look at differences between making hybrids and petrol cars. In terms of the cradle-to-the-grave carbon footprint, Hybrids are four times worse than petrol cars, and that’s not just because of the exotic materials used in the car (in terms of construction and power systems), but also the fact that a huge amount of environmental damage is done when lithium is extracted for making batteries; and the carbon footprint of the manufacturing process causes additional environmental damage too. If you think that by buying a Hybrid, you're helping save the world. Think again. Yes, you’ll save money on petrol costs, but do BMW owners really care about that? I think not! 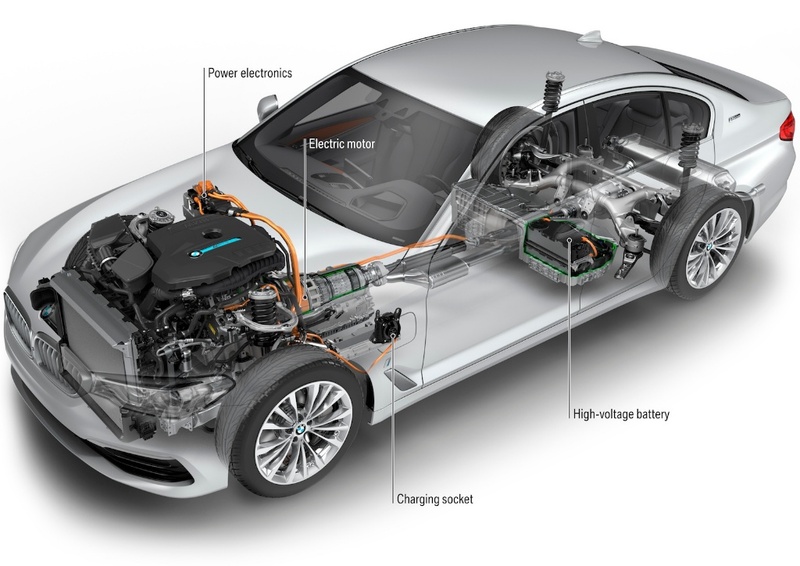 The real reason for the existence of this model is so that BMW can be seen to be addressing the issue of social responsibility, and to show it’s keeping up with trends in potential new powertrains. I doubt very much if it will account for any more than 5% of 530 sales in Australia. 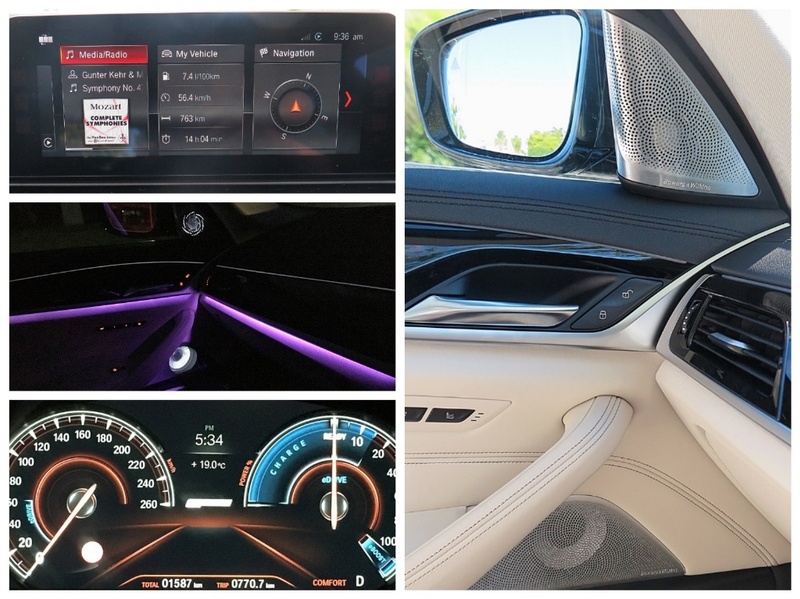 But, it gives the BMW team a nice warm glow about ‘doing the right thing’, and the people who do buy one will be acting very smug about their environmentally-friendly choice. Not! 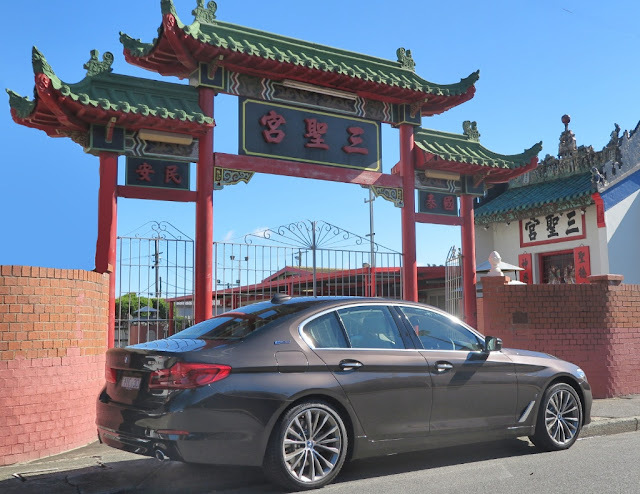 As I have remarked previously when writing about the petrol 530i, this new 5 Series is virtually the same size as the previous (outgoing) 7 Series, which makes it ideal as a chauffeur-drive job in places like China. The Chinese Mr. Bigs can stretch out in the back seat, whilst the poor, harassed chauffeur tackles the almost-suicidal traffic conditions in Shanghai, Beijing or any of China’s other big cities. 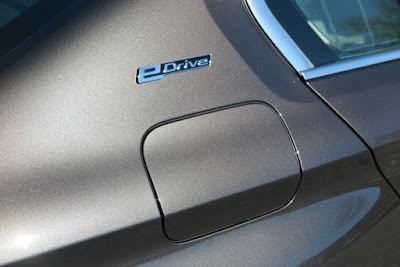 The 530e however, is yet another sign that change is coming fast in the personal mobility market. We may be plugging in our cars sooner than we think. At least BMW has a comfortable candidate to lead the charge.